In this article we introduce RusKill.exe – a useful utility to kill the process of malware by windows title. The tool has been developed by GridnSoft Anti-Malware Lab, and it is absolutely free for users to download and apply for virus process termination of specific rogue samples. We would like to emphasize the fact that you may use RusKill.exe for termination of any active virus process that has its window title. The tool works well only if you specify the window title correctly, and this is a very important step when you attempt to kill the virus process. Why do users need to use RusKill.exe in the first place? 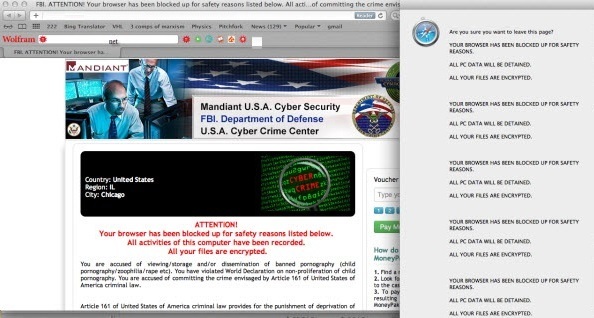 The majority of rogue antiviruses these days prevent users from removing them. We’ll try to explain how this works on a real computer infected with some malware sample. For example, your system has been attacked by one of the rogue security programs, which are obviously very popular among online hackers these days. When you attempt to run some security program to remove it the rogue will state that the file you’re going to execute is infected. Obviously, this is a false statement of this fake AV which doesn’t want you to remove it with legitimate antiviruses. The same thing happens when you decide to download any antivirus program over the Internet through any browser installed on your machine, or whenever you try to run such useful system utilities as Task Manager, cmd.exe, taskill.exe, etc. The rogue will report these legitimate Windows applications as extremely malicious, even though this is surely a false statement reported by this fake AV (whichever one resides on your computer). So, obviously, you need the tool that will help you kill or terminate the process of this rogue (fake) security program. Luckily, RusKill.exe is this tool that will help you stop the virus process effectively. Instructions for downloading and running RusKill.exe. Download RusKill.exe via the download button below, or through the direct link https://www.system-tips.net/download/ruskill.exe. In case the rogue blocks all your attempts to download RusKill.exe you may download it on a clean computer, save it to your USB/Flash Drive and copy the file to your infected PC. Save RusKill.exe into your desktop (the name for the file will be ruskill.exe (with small letters only). Make sure that you can see all known file extensions at your desktop. Open Desktop folder, click “Tools” and select “Folder options“. In the “View” tab uncheck the box “Hide extensions for known file types“, click “Apply” and “OK“. 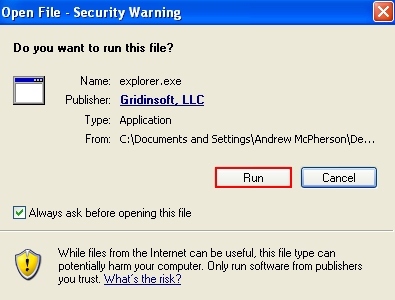 The malware process should be successfully killed (terminated) by ruskill.exe (previously renamed into explorer.exe). 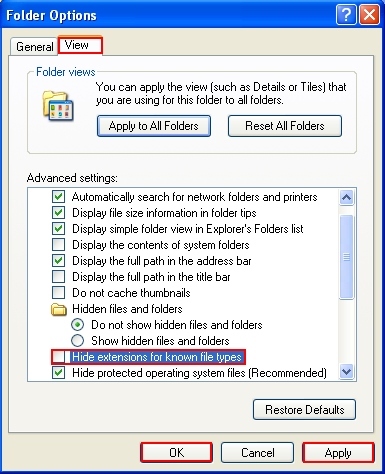 Alternatively, you may use the option of automatic malware process detection by downloading the autoscan.exe file from the page https://www.system-tips.net/download/autoscan.exe and saving this it onto your desktop (or to the same location where explorer.exe is located). Then rename autoscan.exe into autoscan.dat (with .dat extension) and save the file. Clicking “Automatic scan” in explorer.exe window will detect the threat in the same manner, yet automatically. Note! Again, it is important that you always specify the window title of a rogue correctly. It might be that you will need to observe upper and lower cases, or to remove any spaces between the words of the window title. This all depends on the type of specific virus and its exact window name. In each case of specific rogue we will give you the detailed instructions on termination of each specific virus process with RusKill.exe. If you have any comments or suggestions please don’t hesitate to get in touch with us at any time of your convenience! Remember that simply killing the virus process is not enough. If you reboot the machine the rogue will come up again. Once you kill its process with RusKill.exe make sure you scan your computer with decent security application and remove all detected infected items. Good luck!